This fluid silk crepe de chine blouse has a relaxed easy fitting silhouette and can be dressed up or down for work or play. It has a traditionally styled collar, single breast pocket and mother of pearl buttons. The long sleeves have cuffs with a single button. 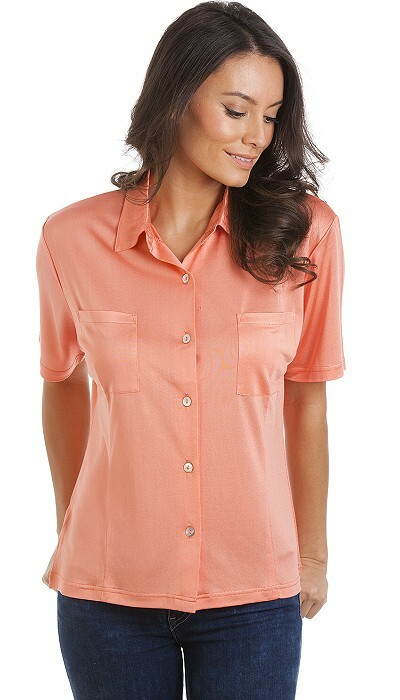 It has a flattering curved hem and a back yoke with two pleats. Made in China to our design. Size large or medium. Colour as shown.